Whether you choose integrated Intel® HD Graphics or discrete graphics featuring NVIDIA® Optimus™ technology, you'll enjoy stunning visuals on the T530. Move data between the T530 and other devices quickly with USB 3.0 — it's up to 10 times faster than previous USB technologies. Combine a 9-cell battery with a slice battery to enjoy up to 24 hours of productive work between charges. Wherever you are you will be able to get connected with a complete suite of wireless technology — and Lenovo Mobile Access means you don't need an expensive contract. HD , HD+, and FHD display options deliver bright, crisp visuals and a wide viewing range. Anti-glare technology makes the T530's screen comfortable to look at over the long haul. 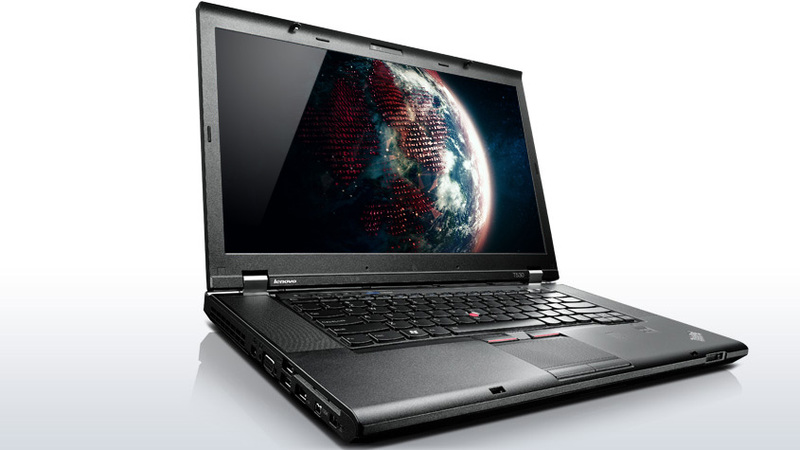 The T530 meets eight rugged military-spec tests against extreme environmental variables, including temperature, pressure, dust, humidity, and vibration testing. Premium durability standards and Active Protection System™ provide a rock-solid machine. With easy to use, practical and secure software solutions including Password Manager, Rescue and Recovery, and Access Connections™, Lenovo has got you covered.